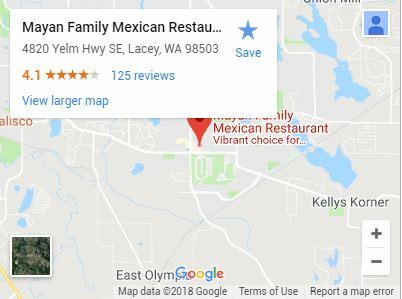 Where can you find great Mexican food but also get banquet facilities in Tumwater? 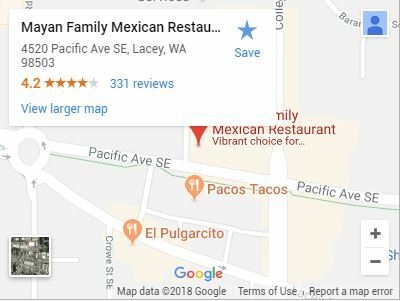 From Mayan Family Mexican Restaurant of course! And in the tradition of our culture, when you come to us to celebrate your special event, you’ll be treated like family; the kind you get along with that is! Along with unbeatable service that you won’t soon forget, we have some of the best food around with authentic recipes handed down through generations. Come try it for yourself! Nachos and taco salads that won’t leave you hungry. Soups hard to find elsewhere such as albondigas. Tacos, burritos, quesadilla, and fajitas with warm tortillas. Chicken dishes like Arroz con Pollo and Chicken Mexicana. Borrego, pork carnitas, carne asada, and enchiladas. Food for picky little ones such as chicken sandwiches. Drinks galore including our specialty gold margarita. And of course, desserts: Flan, churros, sopapilla, deep-fried ice cream, and more! Check out entire menu and find exactly what you want! 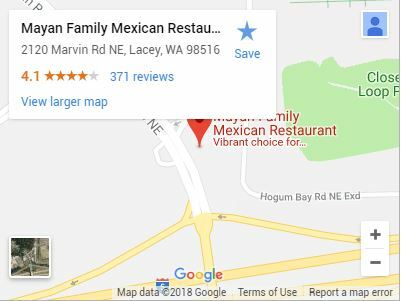 Sometimes, you want to make your special event even more special, and our banquet facilities in Tumwater do the trick. 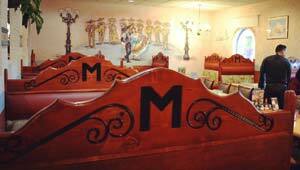 We have seating for plenty of people and are more than happy to cater to you for any event you have. Planning a birthday party? Try something new like our cheese cake chimichanga. Want to go out with a bang before the wedding day? Have a few combination plants and wash it down with one of our famous margaritas! Your next corporate retreat can be in style when you make a lunch deal over our mouth-watering House Specials such as Chile Colorado or Chicken en Mole. Try something different, try something authentic; try something better! Stop by today for incredible food, incomparable service, and affordable pricing.